The 2018 Sundance Film Festival is in now full swing, and we are so thrilled to be back again as the exclusive wine sponsor. As we look forward to a fun-filled ten days in Park City celebrating film, wine, art and creativity, here’s a look back at last year, our first as a sponsor of the festival. From an interactive cork mural (featuring 25,939 corks!) 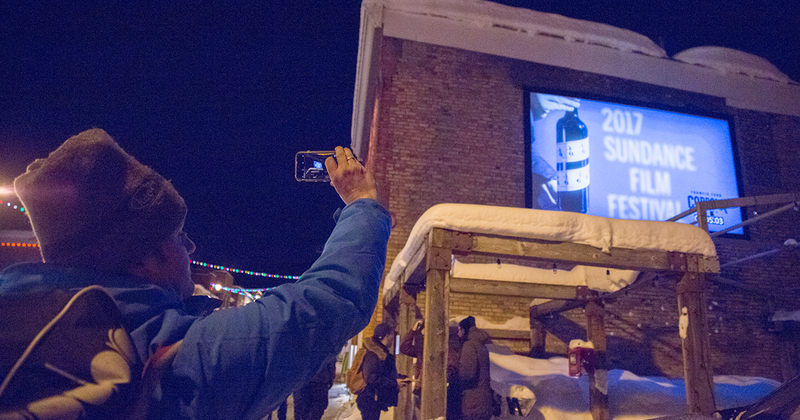 to our stop-motion film projected in Miner’s Plaza to sharing our wine with thousands of festival goers at various events, it was a memorable introduction to Sundance and has us excited to make this years’ experience unforgettable.